We are involved in manufacturing & supplying a comprehensive range of fire extinguishers and hydrant accessories which are effective in diffusing the dense air and its consequences. With instant splash of water these equipment can control heavy dense fire and can save the area attacked by the fire. We offer an exceptionally effective range of Fire Safety Equipment that is manufactured using superior chemicals, and in sync with the international fire safety standards. 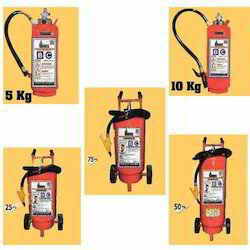 To retain the effectiveness, these environment friendly extinguishers are provided with a safety seal that can be easily broken in case of fire. We make available to our clients ABC Type Fire Extinguisher, which are simple to use and are utilized in restaurants, shopping complexes, entertainment centers and various other places. 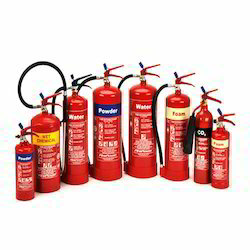 These extinguishers are durable, wear & tear resistant and conform to the defined industry standards. 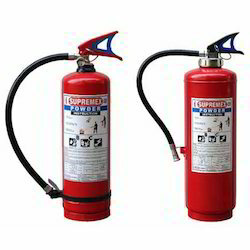 We are the prominent Manufacturer and Supplier of high quality of Co2 Fire Extinguisher that is supplied to different parts of the country. 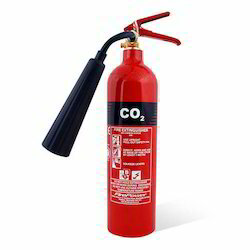 Our Co2 Fire Extinguisher is manufactured from burning liquid such as oil, petrol kerosene and burning gases such as butane, chloride and natural propane, vinyl chloride and natural gases and live electrical equipment. They have 4.5 Kg Capacity ISI Mark IS 2878 Fitted with 1 Mtr Hose Horn Complete in all respect. 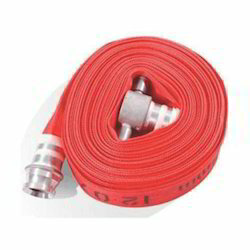 Reinforced Rubber Lined Fire Hose are percolating flexible fire fighting delivery hose . These are three layered synthetic jacketed with electrometric outer covering ; resistant to liquids, chemicals, acids, alkalis, solvents, abrasion & heat having 42kg/cm2 burst pressure, 25 kg/cm2 proof pressure, 18 kg/cm2 working pressure. Bearing is: 636 -1988 type b mark having ul/lloyds approval in 63 mm dia in 15 mtr. lengths. 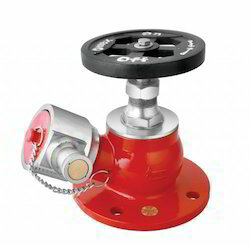 We offer OMEX Single Way Landing Valve. They are percolating flexible fire fighting delivery hose . 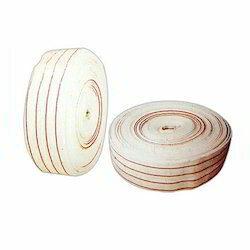 These are three layered synthetic jacketed with electrometric outer covering ; resistant to liquids, chemicals, acids, alkalis, solvents, abrasion & heat having 42 kg/cm2 burst pressure, 25 kg/cm2 proof pressure, 18 kg/cm2 working pressure.